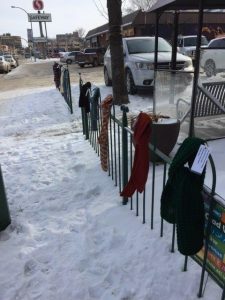 The Prayer Shawl group is once again adding scarves to the fence for people who need to be warm and a scarf to help them. With faith in God and the love of Jesus Christ, we will make a difference in the lives we touch. We are a vibrant, welcoming, Christian community sharing in service to all. Jump to our Who We Are page to see “Who’s Who” at Westminster. Read about our history. Click here to view or download pamphlet in PDF format. The United Church of Canada expresses outrage and sorrow at the attacks on people gathered for worship and celebration in Sri Lanka this weekend. Join us this Sunday for Holy Humour Sunday. Hopefully, we can go home with an aching belly from laughing. There will be opportunities to share clean "church-like" jokes. Website built and supported by Shiverware.